After a lovely, foggy, few days at Sea Ranch on the Northern California coast, it was equally lovely to spend a few gloriously sunny days in Berkeley. One of the reasons for both the Sea Ranch and the Berkeley stays was because a crazy tech conference in San Francisco meant that hotel room prices were astronomically off the charts. When looking for a place to stay that was convenient to the BART so that I could get into the city for the opera and orchestra performances I had booked, Berkeley was an easy choice. 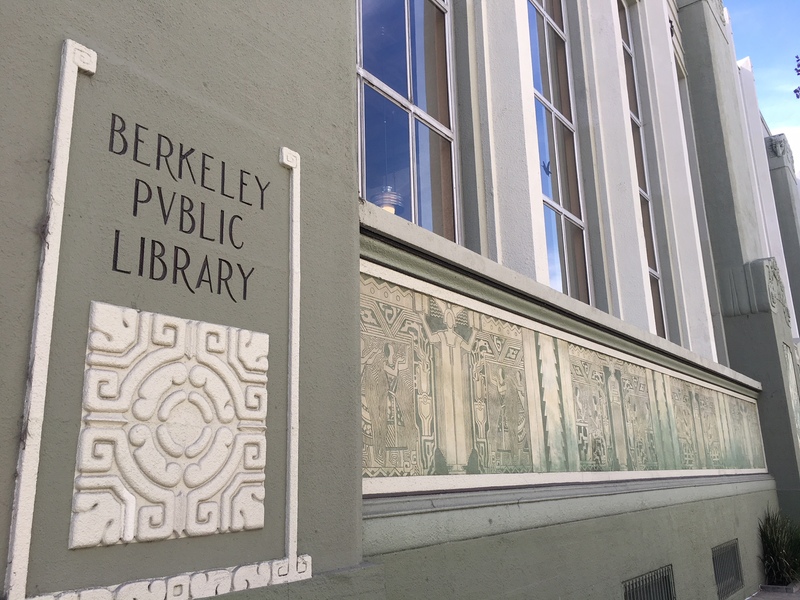 I had been there on three or four occasions with my husband who went to school at UC-Berkeley. I knew there would be good food and plenty of books. I had to work while I was there, but given that my work day started at about 6:00 AM to keep up with my office back in DC, it meant that I also had lunchtime and a good chunk of the afternoon to have a bit of a wander. 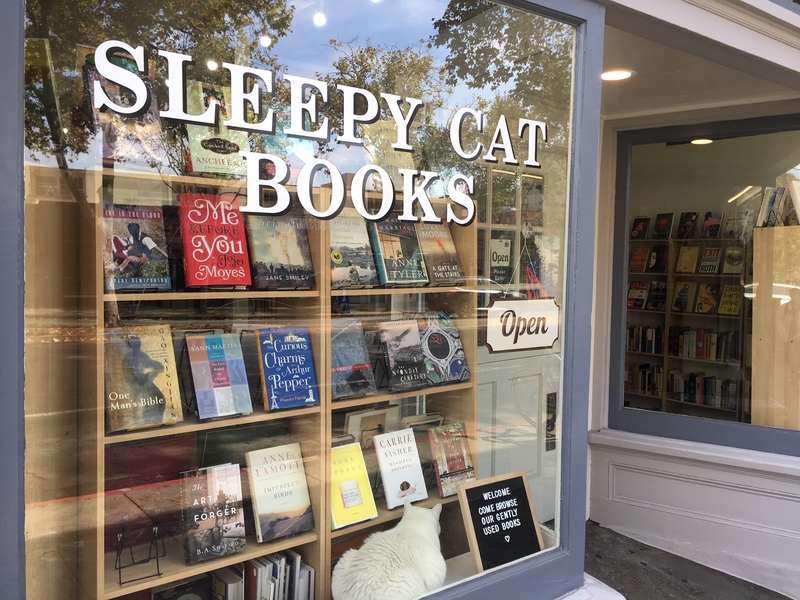 I was able to spend time book buying at Mrs. Dalloway’s, Sleepy Cat, Pegasus, and Half Price Books. 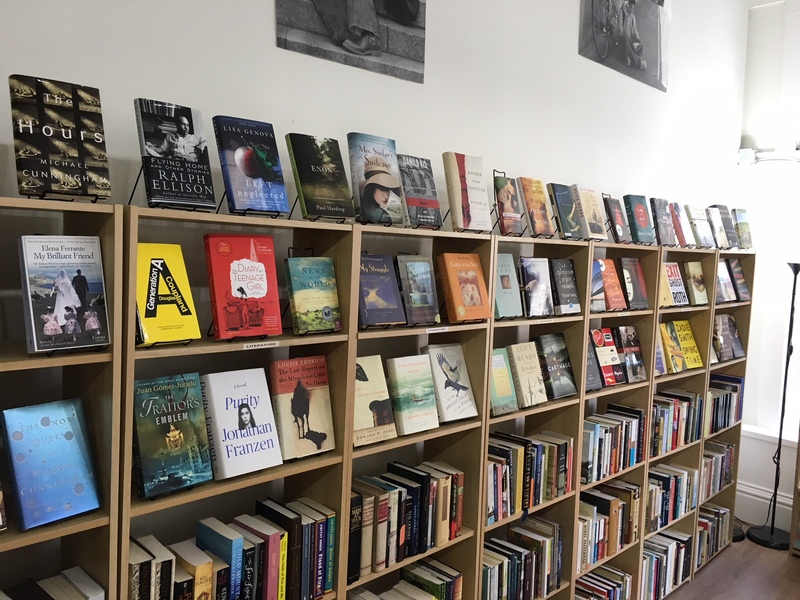 I also went to the historic Moe’s Books, but they had Brett Kavanaugh on the radio and that is most definitely not compatible with book browsing, so I left empty handed after about 2 minutes. I meant to go inside to see how this design translated into the interior, but I never quite made it in. 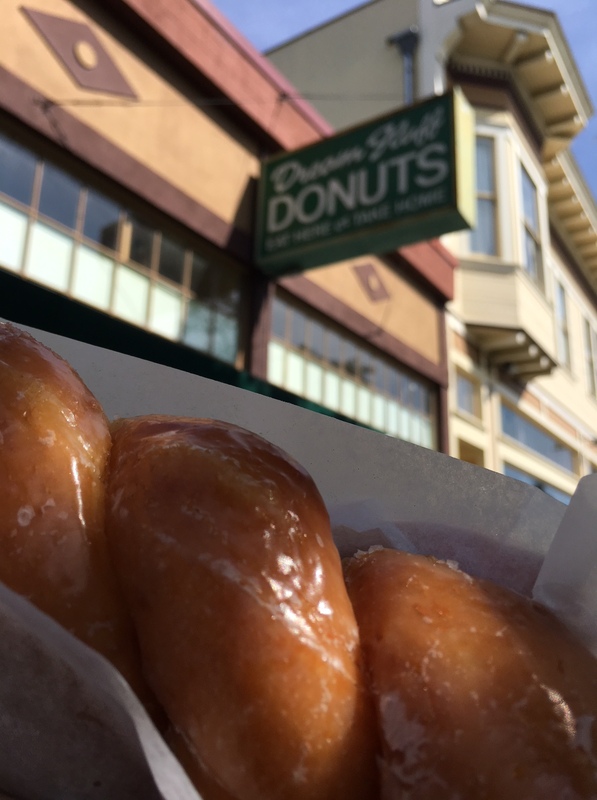 The glaze twist at Dream Fluff Donuts was so perfect, I went back in for a second one. It had the perfect amount of glaze, slightly flaking off. The mistake of many a glaze donut is too much glaze. 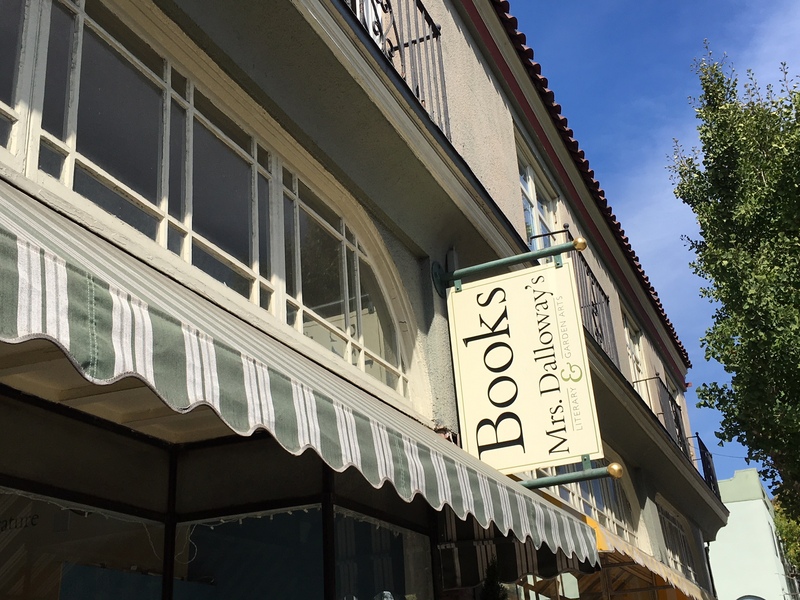 Mrs. Dalloway’s is a truly lovely spot with a great selection. They have a great gardening section and I was able to find three books for John. I wasn’t even looking for this place, I just happened to walk by. The cats, by the way, weren’t very sleepy. This one knocked some books over and got into brief fisticuffs with another resident cat, but I don’t know who started it. Easily the tidiest used bookstore I have been in. Lots of good reading copies of general fiction. Of course they may have other things but I tend not to notice non-fiction. 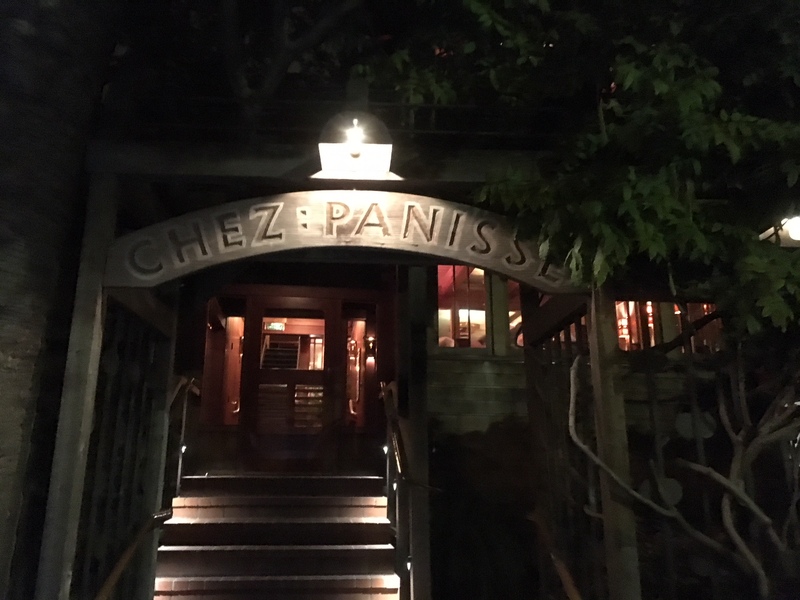 There is Chez Panisse and then there is the Cafe at Chez Panisse upstairs. I was only able to nab a reservation for the Cafe and even then it was for 9:15 PM on a Wednesday night. 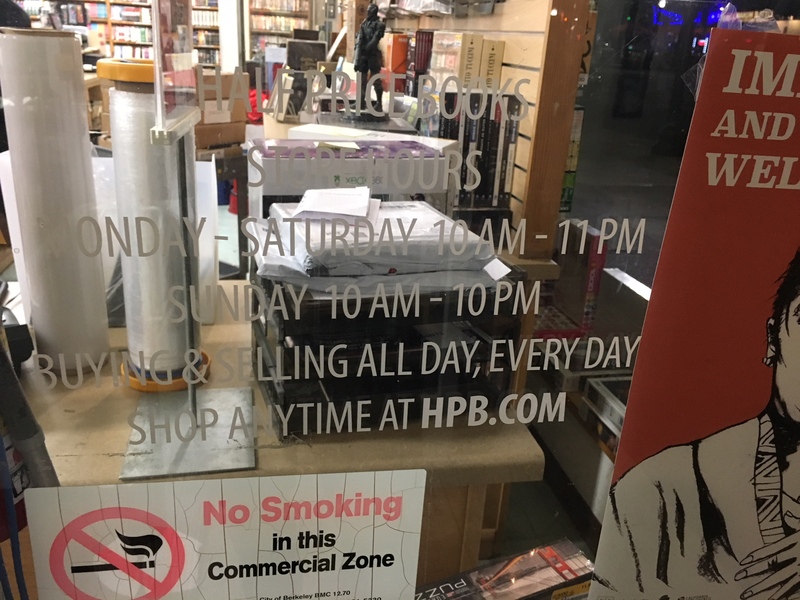 This is the genesis of farm to table restaurants in the U.S.
After my late dinner at Chez Panisse I was pleased as punch that the Half Price Books right near my hotel was open until 11:00 PM. Next Article Which class would you take?